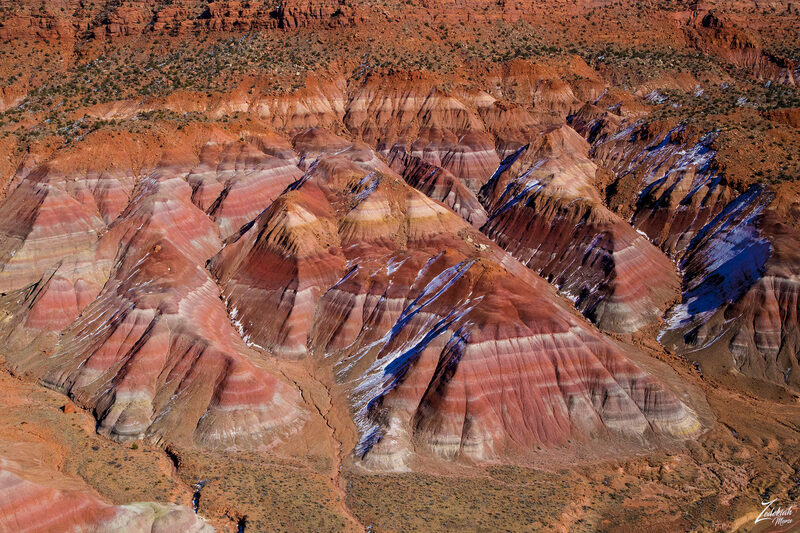 Crimson colored outcroppings across from Calico Peak on the Paria River in southern Utah. This is located just upstream from the old ghost town of Paria, Utah. Paria /pəˈriːə/, (rhymes with “Maria”) or Pahreah, is an old abandoned Mormon ghost town located alongside the Paria River in the Grand Staircase-Escalante National Monument in central Kane County, Utah, United States. The Paria River flows down from Bryce Canyon National Park through the Escalante Grand Staircase National Monument and into the Colorado River at the beginning of the Grand Canyon.